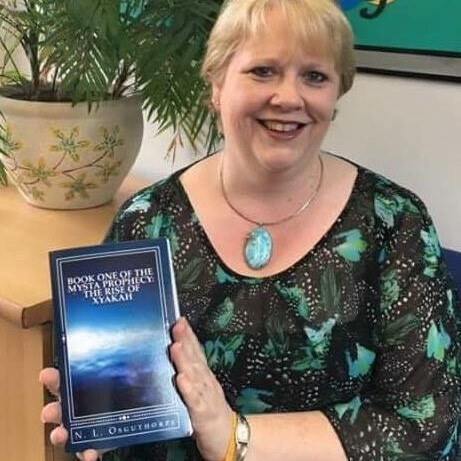 When I released my first book my editor said to me that I needed to write an author bio for the front cover. I threw her a pained expression and rolled my eyes. My editor picked up on my reluctance and suggested an excerpt from the book instead, with which I was much more comfortable; however as time goes on and I wade my way through the murky waters of promoting a self-published Indi-book I have grudgingly come to realize that you do really want to know this stuff and so here I am. Born in a small village in South Yorkshire England, I was a happy little girl with a wicked imagination and absolutely no interest in education what so ever. I remember my first day at school very vaguely; as the cushions in the book corner were comfy, the sun was shining in through the windows and there were fairies playing in the garden outside. When the teacher pulled me into reality to go and paint a picture; the room was dark and cold and the other children were strange but the paint was good and I enjoyed splatting the brush down onto the paper and making footprints across my page. Then the teacher told me I was naughty and my picture was a mess because we don’t use brushes like that. To be fair primary school never really got any better for me and I stumbled my way through avoiding any kind of work at all. At night when I went home my parents would be exasperated with my lack of progress but they loved me very much and did everything they could to help and then at bedtime my Mum and Dad would read to me and my sister the most amazing stories, with knights and magicians, incredible shrinking women and monsters, strange eggs which hatched into dragons and cheeky borrowers who lived in the walls and under the floors. Then we would have the three little pigs for the twelfth thousands time as it was my sisters favourite and to be fair Dad did a mean big bad wolf. When I was eleven I got myself a copy of ‘The Lion, The Witch and the Wardrobe.’ I couldn’t wait for Dad to read it to me and I was horrified when he shook his head and told me I was old enough to read it for myself. Finally, with the motivation handed to me, I took the book, snuck into Mum and Dad’s big wardrobe, promptly came back out again as it was very, very dark and jumped on the windowsill, where I pulled the curtain around myself and began the process of teaching myself to read. From that moment on everything changed for me. I had started secondary school in a special needs class but within a year was pulled up to the top set. I worked hard and did my best; all the while devouring the books from the fantasy and science fiction shelf in the teen section of the local bookshop. Dad progressed from bedtime stories to filling any spare minute with his retellings of Harry Harrison’s Stainless Steel Rat, Eric Frank Russell and Arthur. C. Clark and whichever other science fiction book he was reading at the time; while I chose Lord of the Rings, David Eddings and Raymond. E. Feist’s and any other fantasy adventure I could get my hands on. School was always a struggle for me. I never did master spelling which is probably why I waited so long to write my first book. Instead, I went to University and trained to be a teacher, the job I have done ever since. I met my husband and got married and we had our two amazing daughters. We filled our home with cats and dogs and love and fun but every now and again I would go back to the story I started in 1989 as a GCSE assignment to write the introductory chapter of a novel; and I would add a page or a chapter and painfully slowly the story grew. In 2017 I self-published my first book; ‘The Rise of Xyakah, Book one of the Mysta Prophecy‘ Under my maiden name of N.L. Osguthorpe and have been overwhelmed with the feedback and love I have received for my book. So now I live in the same village where I grew up; with my husband and my children and my cats and my dog, across the road from my Mum and Dad and just down the road from my sister and her beautiful family. Three days a week I work as a primary school teacher and my weekends are filled with family but now for two days, I get to indulge in my greatest passion, where I weave my stories and build my characters and plot surprises at every turn of a page. Book Two of the Mysta Prophecy is scheduled to be released next summer. Yes, I write slowly; but not quite as slowly as I once did! The Ladaston family have been plagued by tragedy, to such an extent that pain and grief have become part of everyday living for eighteen year old Elayna Ladaston. Now a greater challenge looms as an ancient evil is unleashed on the land and Elayna finds herself the target of a gruesome and sinister cult. With no choice but to trust her only friend the mysterious Lyaren she embarks on a journey which will lead her to the very heart of danger and open within her a mysterious connection to an ancient magic as it is evoked around her. 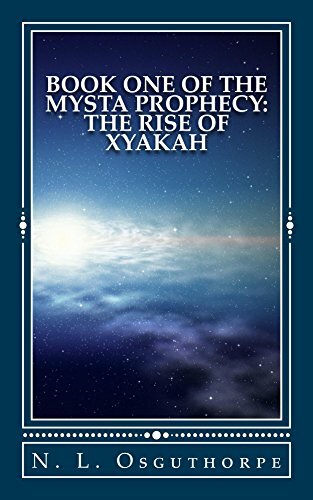 The rise of Xyakah is the first part of a fast paced thrilling fantasy adventure enriched with endearing characters, looming disaster and an ancient magic reawakening in a world on the verge of war. Welcome to the group. So glad to have you here. Former educator here, still working with the little nuggets I love. 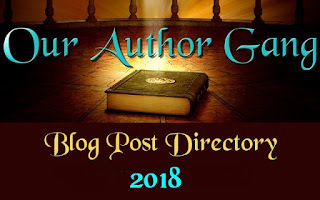 Today, we welcome new member, Author N.L.Osguthorpe to #OurAuthorGang. Welcome to the gang! It's great to have you here! Interesting story about how reading turned your life around to become a teacher and accomplished writer. Welcome to the group. As a retired teacher myself I thank you for your service my dear. It's amazing how you overcame your struggles through the early school years and are now in education. Sounds like you have a unique imagination.